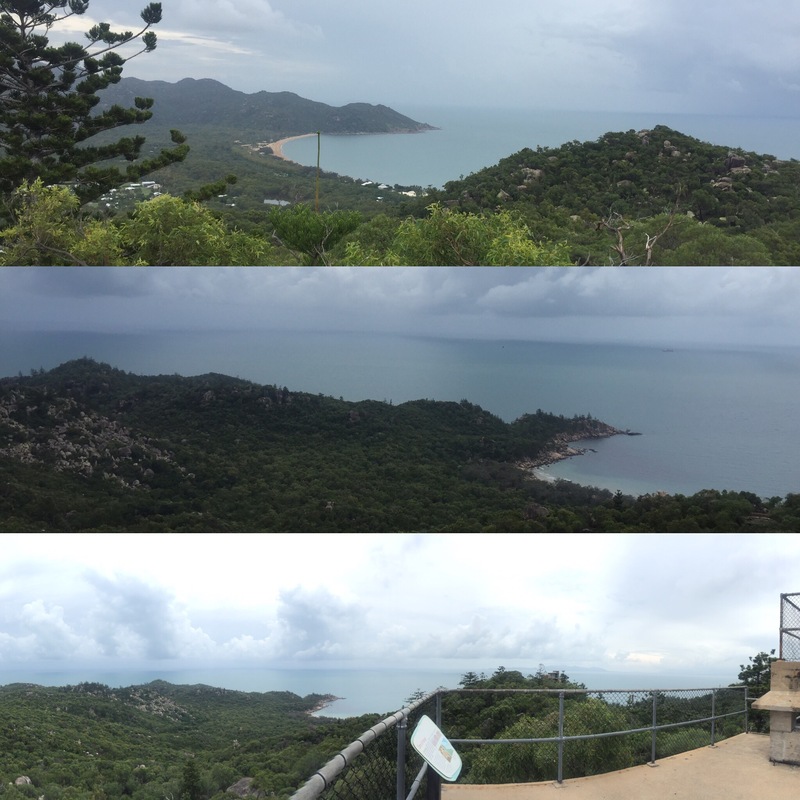 The next stop on our east coast adventure, and one of the last on our way to Cairns was to Magnetic Island. 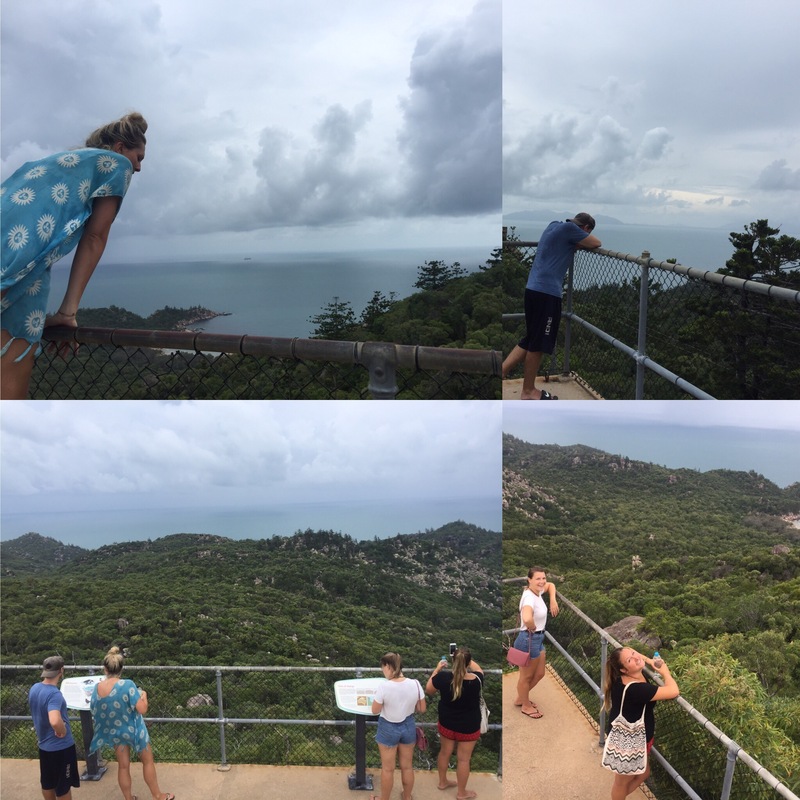 After the Whitsundays trip it seemed like the majority of the people we had met in Airlie were going to be in Magnetic which was nice. It’s one of the lovely things about travelling that you end up bumping into familiar faces all your way up at different places (although I imagine it could be bad if you kept bumping into someone you didn’t like!). 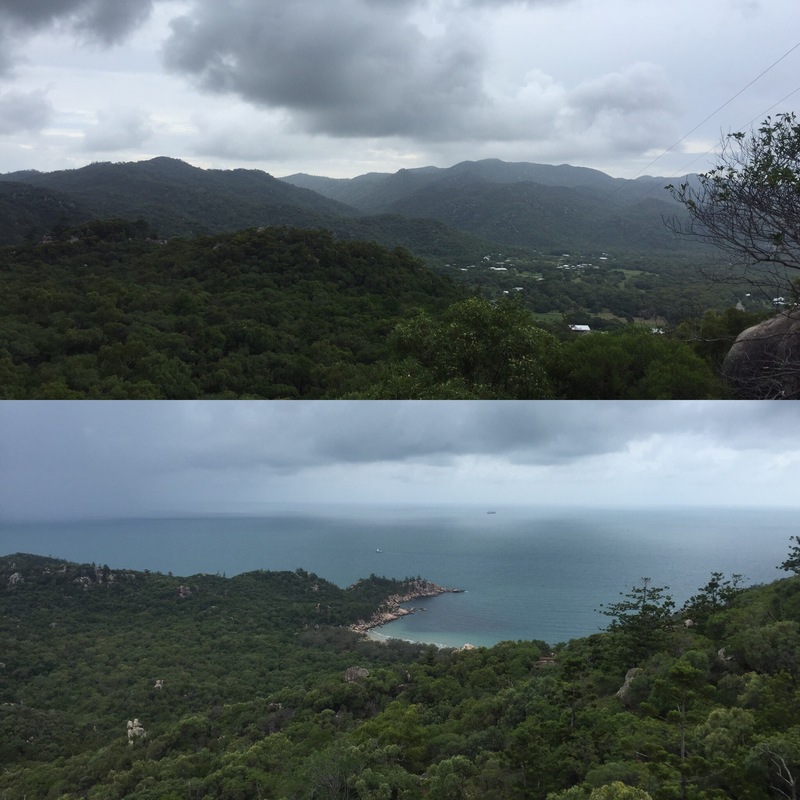 On the 3rd March 2017, our walk to our bus in Airlie, a 5 minute torrential shower started which absolutely soaked us – not ideal when you then have to sit on a bus for ages! 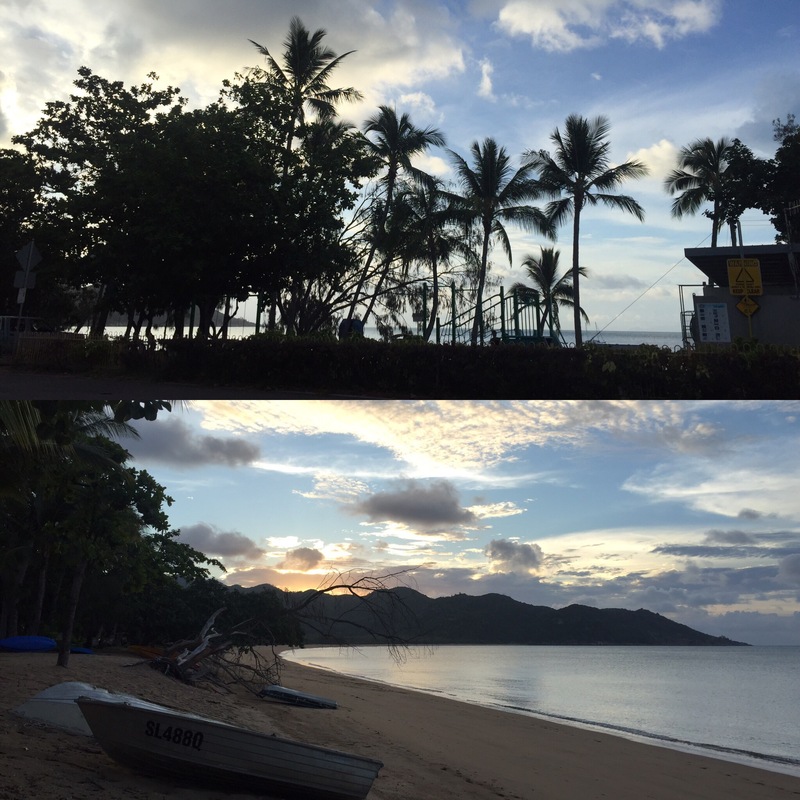 From Airlie the bus takes you to Townsville which is around a 5 hour bus ride and then you get the ferry over to the island which takes around 25 minutes. An annoying thing about the ferry was that they had piled all of our bags up onto the deck outside and then they got continually splashed by the waves so that, by the time we reached the island, our bags were soaking!The majority of people who come to Magnetic Island seem to stay at Base Hostel which was fully booked up way in advanced so we stayed in the YHA which was connected to a koala sanctuary (although you had to pay to get in so we didn’t see any koalas there!). 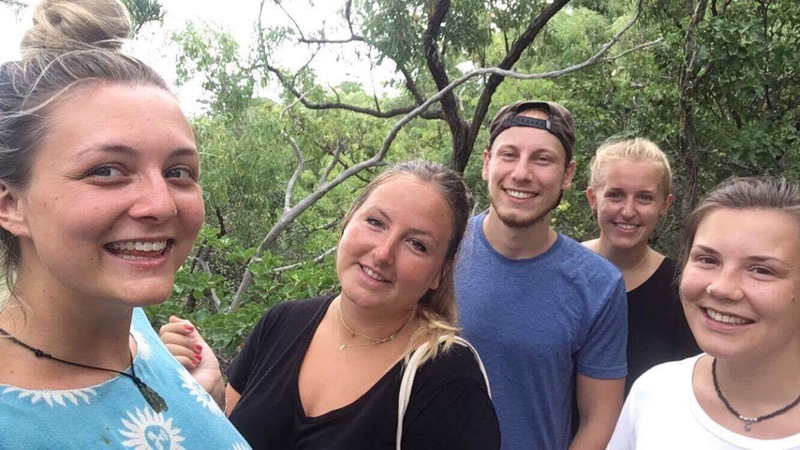 There were still a lot of familiar faces at our hostel and our friend Jess was also staying there so it wasn’t a massive issue to not be staying in Base and it was really peaceful which helped to get a good nights sleep after a tiring time on the Whitsundays boat! The island is really tropical and very small with little pockets of houses dotted along the road at different points. The island has around 2000 permanent residents and there were loads of school kids that got the ferry across to go to school on the mainland but live on Magnetic so that’s quite a commute to get every day! The hostel is very near to a beach called Horseshoe Bay so me, Niall, Jess and her friend Hannah walked along to the beach and watched the sunset. 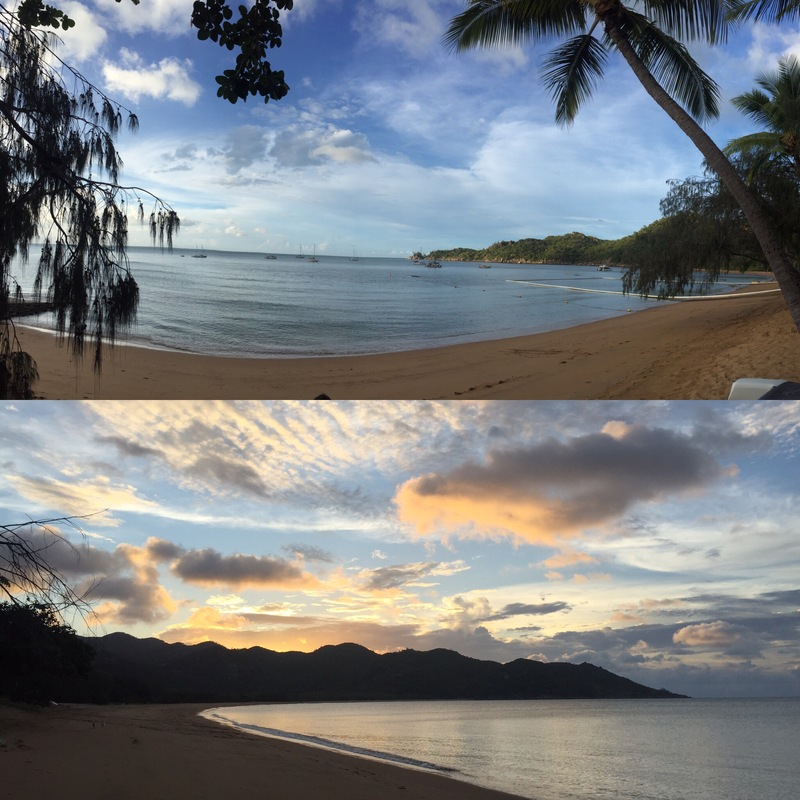 It was really quiet with hardly anyone around which was very different from Airlie Beach where we had come from. We then had a chilled rest of our night and an early night because we were all really tired from the previous few days. 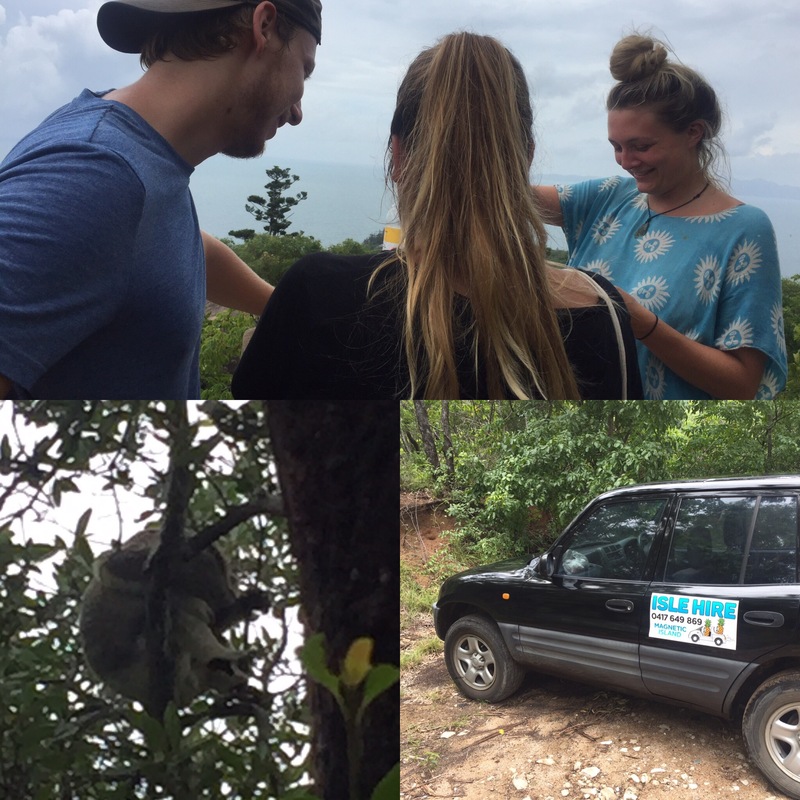 On our only full day there me, Niall, Jess, Hannah and Daisy (from our Fraser Island trip) all hired a 4×4 for the day to explore the island. Throughout the night and in the morning it was torrentially raining which didn’t fill us with much hope for the day ahead. 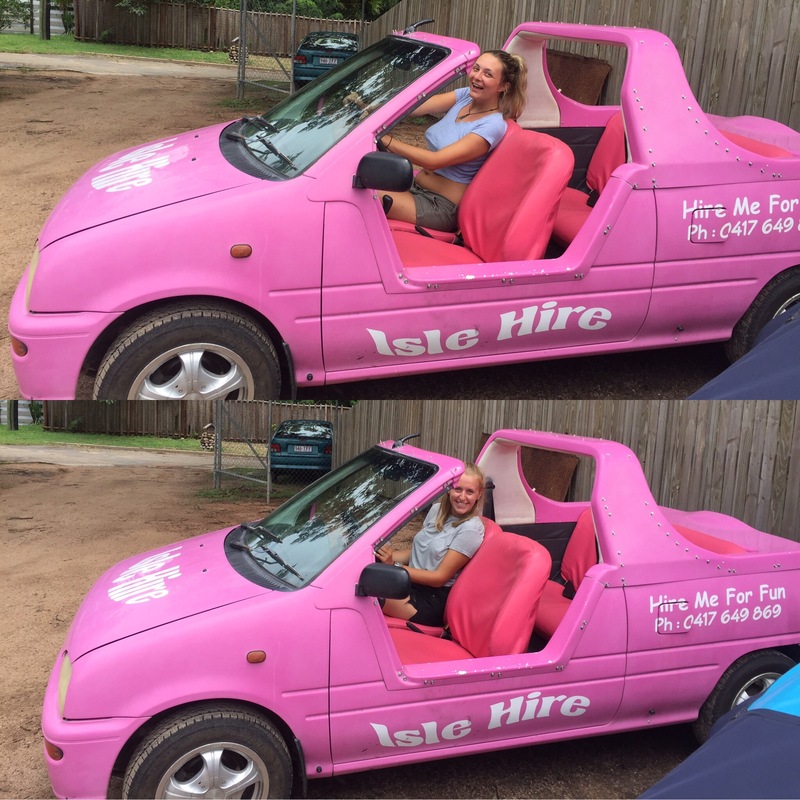 We decided to wait it out and, luckily, it cleared so we hired a 5 seater 4×4 from a company called Isle Hire which cost us $99 (so only $20 each) for 24 hours and we made sure it had a roof incase it rained again! Daisy was staying as Base so we picked her up first before getting sorted and exploring the island – it was so nice to drive again! Our first stop was to a place called Radical Bay which was down rough road full of potholes. There was no one there when we arrived and the bay was completely deserted – it was really nice. We got a little lost on our way back to the car (we still aren’t sure how we managed that) and when we arrived back there were loads of people arriving so we had been lucky to get there when we did and see it so empty. In our way back up the track we stopped at Arthur’s Bay Lookout which showed great views of Arthur’s Bay and out to sea. At the top of the Radical Bay track was a car park that was at the start of the Forts Walk. 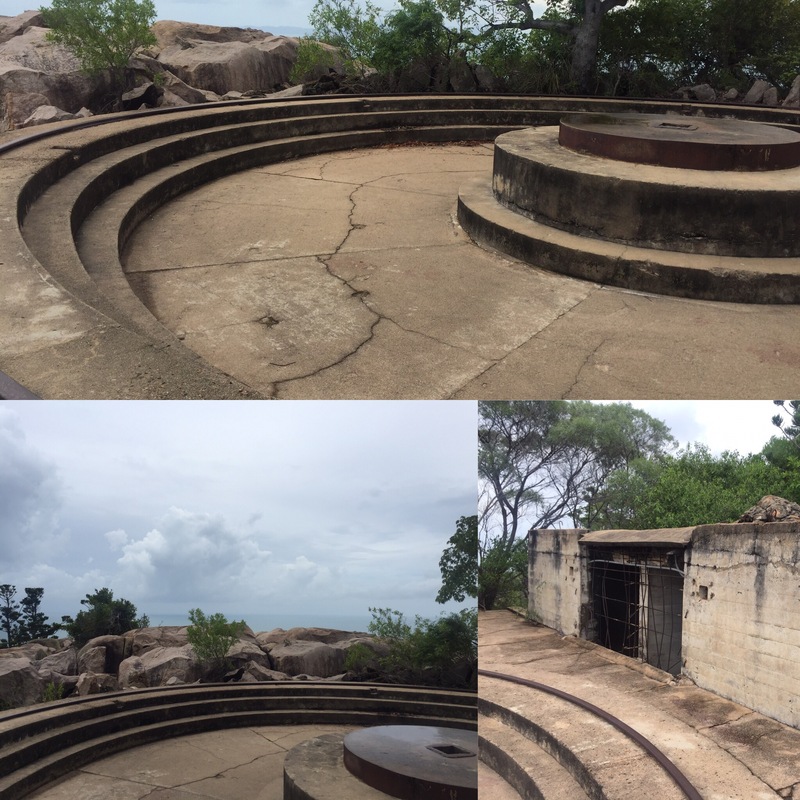 This was meant to be a good place to see koalas and was 2 hours through the old military forts that were on the island and into the forests. 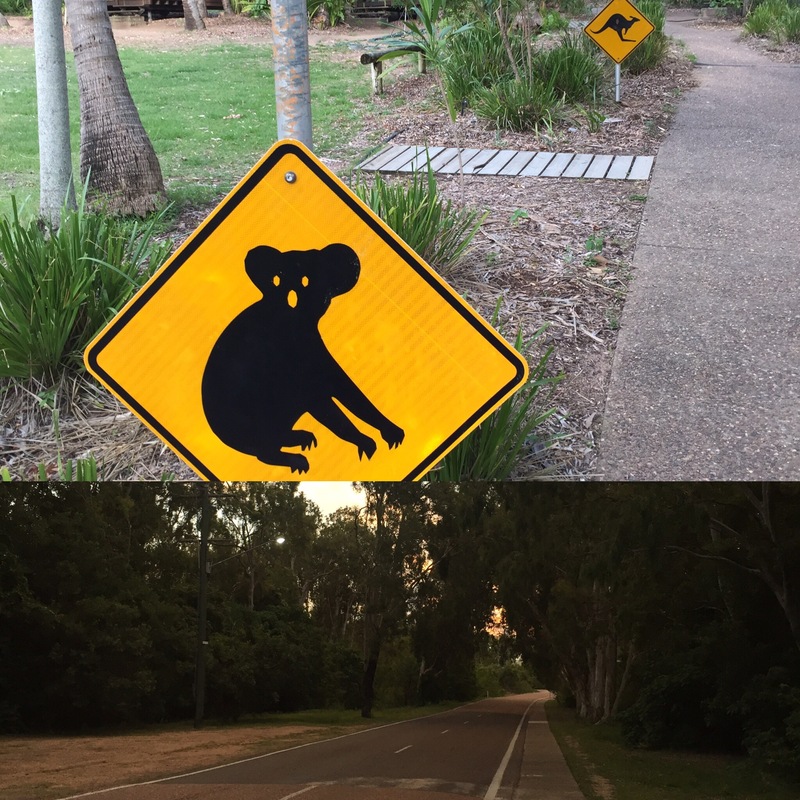 Throughout the walk there were some brilliant views and we we’re lucky enough to see some koalas on the way. 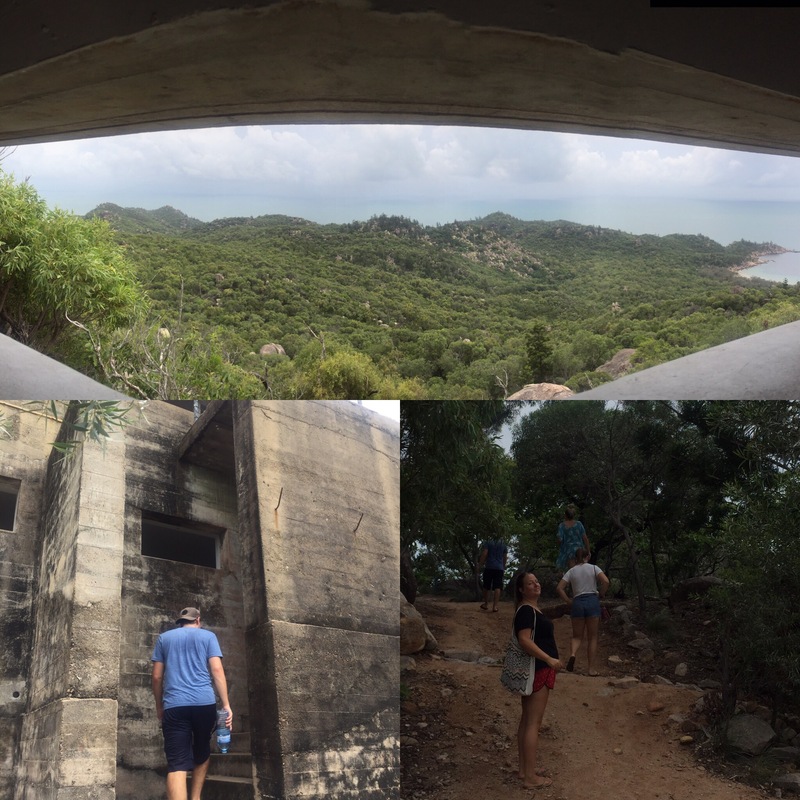 We went to the top of the hill to a military lookout that gave you 360 views of the island – it was definitely worth the walk! The views really were stunning. We then went to the IGA (the supermarket) for some lunch before going to Geoffrey Bay/Arcadia to feed the rock wallabys there. The wallabies were really small and cute but many of them were quite timid of people which I was surprised at considering people must go everyday to feed them. 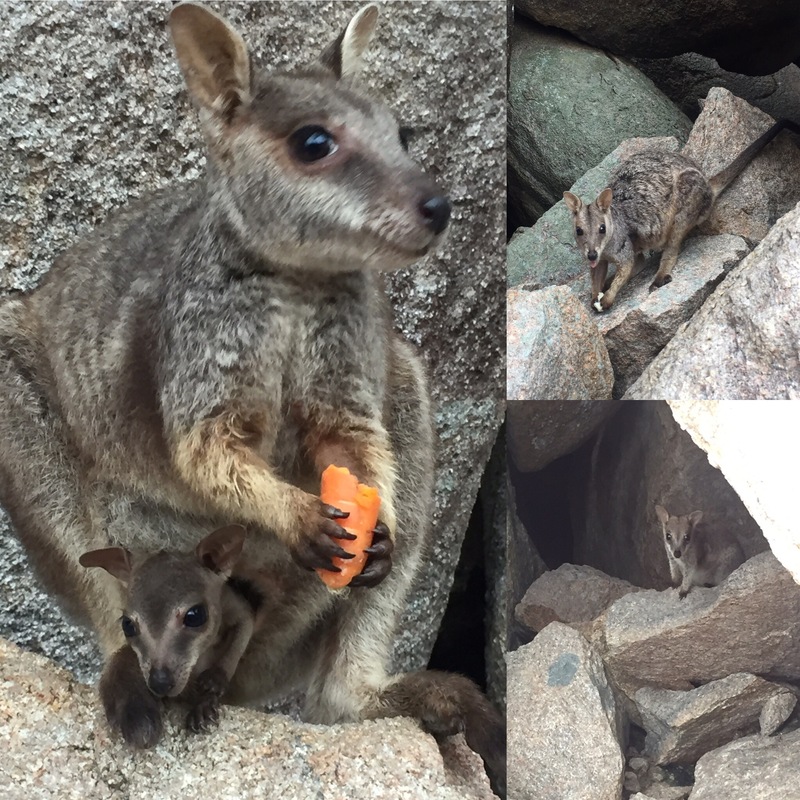 We saw a little baby wallaby as well as a mum with a joey in her pouch. 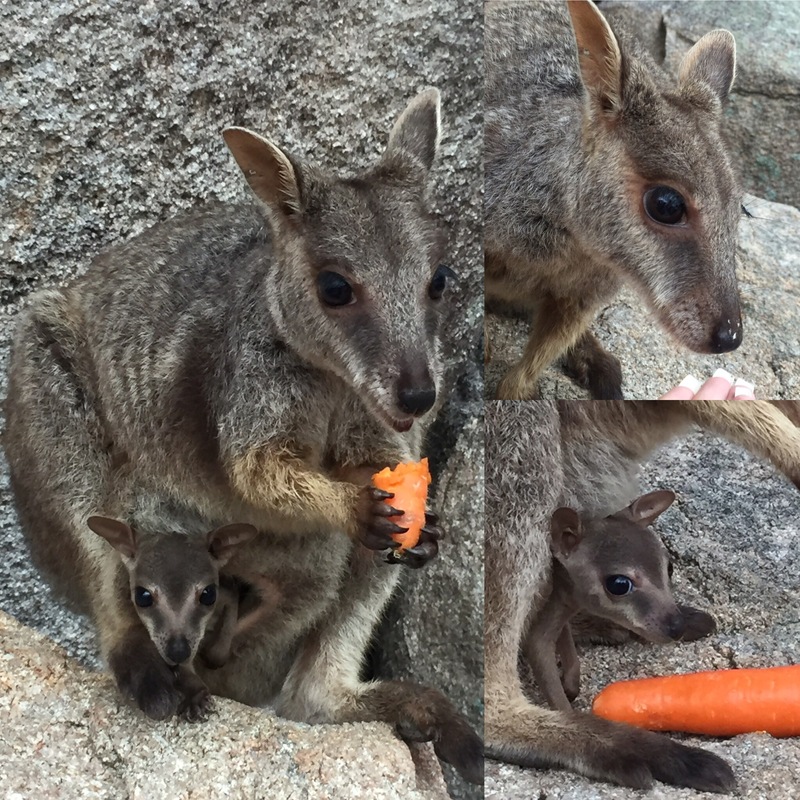 She was probably the bravest of the wallabies and I was able to feed her a carrot. 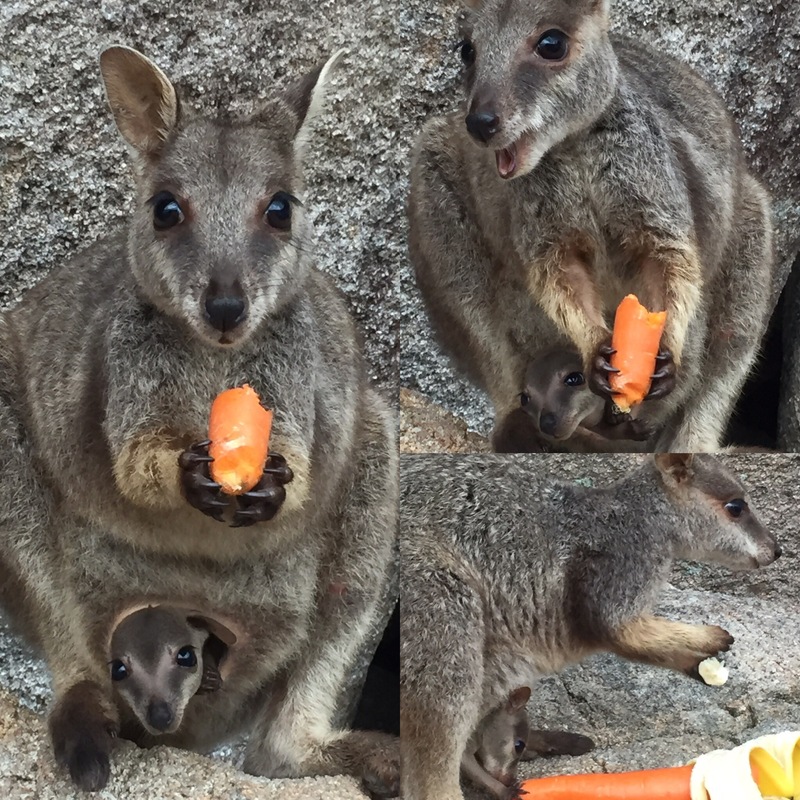 Niall was able to feed another wallaby a carrot but it ran off with it whereas the mum and her joey stayed to get more food off everyone (I guess the energy used to feed her joey meant she would take all the food she could get)! At the end of feeding the wallabies it started torrentially raining. 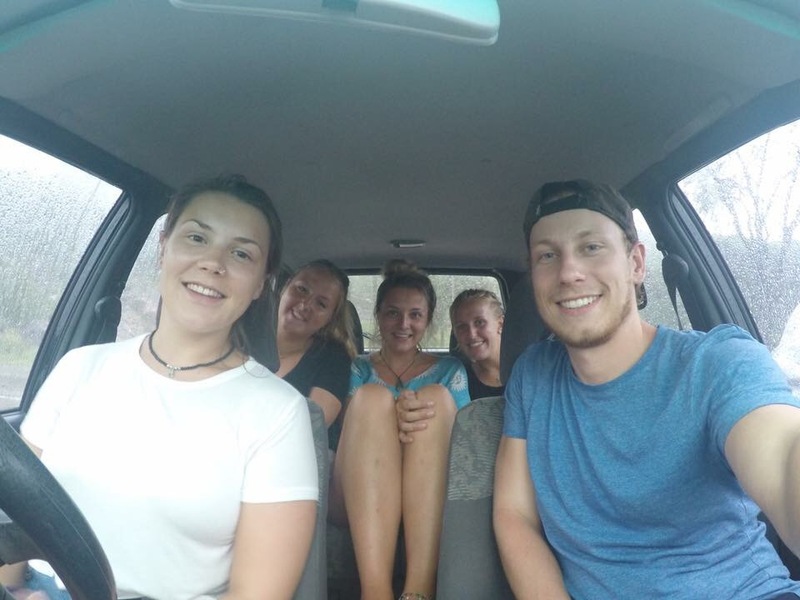 Luckily for us we had specified getting a car with a roof because loads of people had open topped cars and had to drive back holding the tarp cover like a roof to get it back to their hostel or the car rental place without it getting wet which would have been very stressful! It then pretty much rained for the rest of the day which wasn’t great. Jess, Daisy and Hannah bought some drink and stayed at Daisy’s hostel but the rain had died down a bit so me and Niall decided to risk it and drive to West Point to see the sunset (we just had to hope we would be able to see anything). 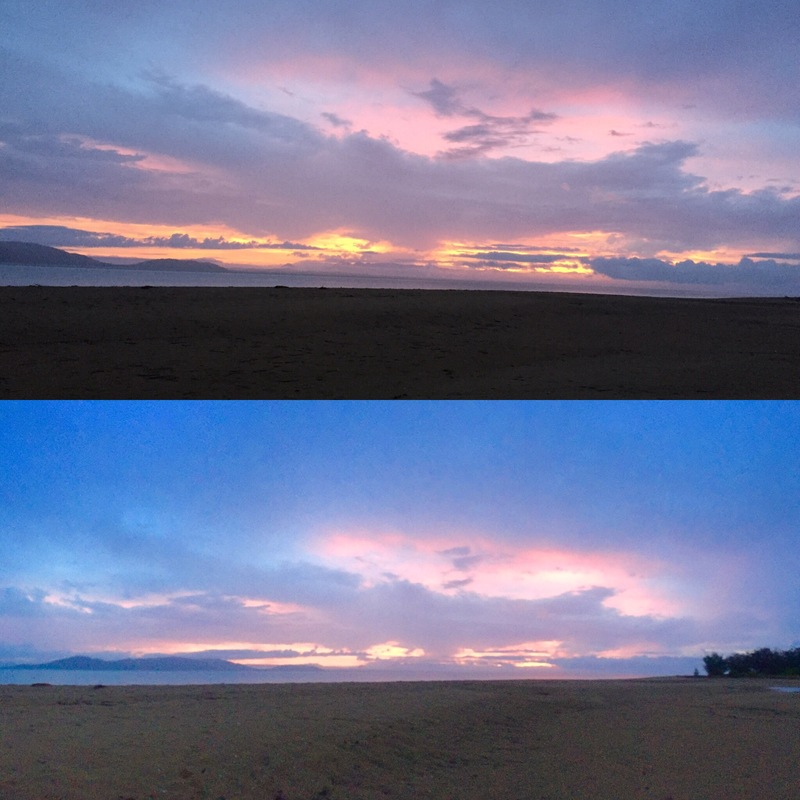 It was a very pot-hole filled road up to West Point beach and it took a long time for the sun to set but we were lucky and were able to see some amazing colours in the sky. 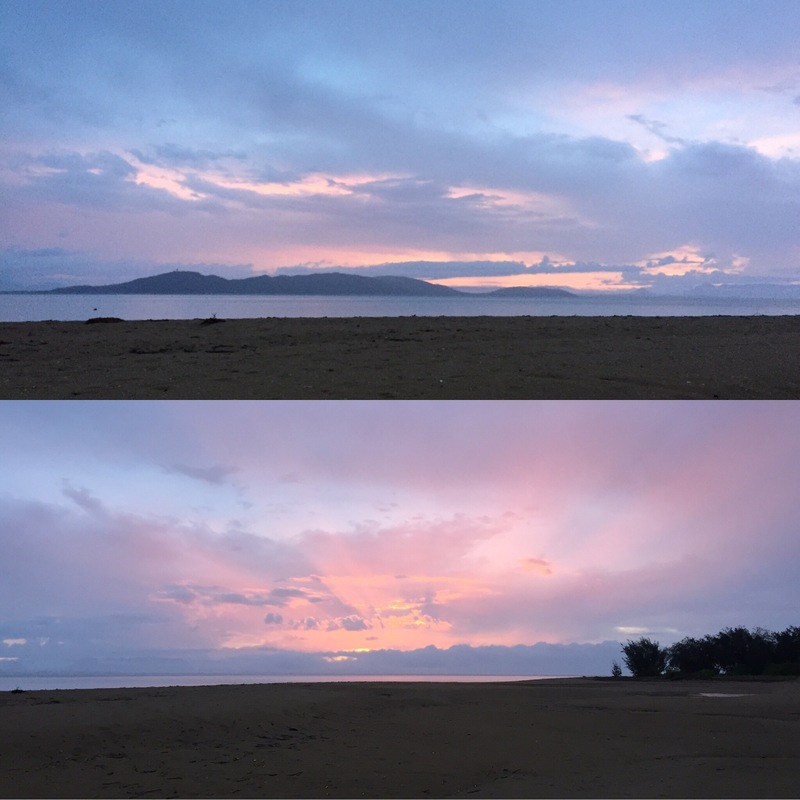 The pictures don’t do it justice but it was a lot more vibrant and pink – it was really beautiful and completely worth the standing in the rain to see it! We then went back to chill with Daisy, Jess and Hannah. Niall wasn’t feeling very well so he went home before us and then I drove the car back to stay with the girls until they wanted to go home. It was great to get to drive again. 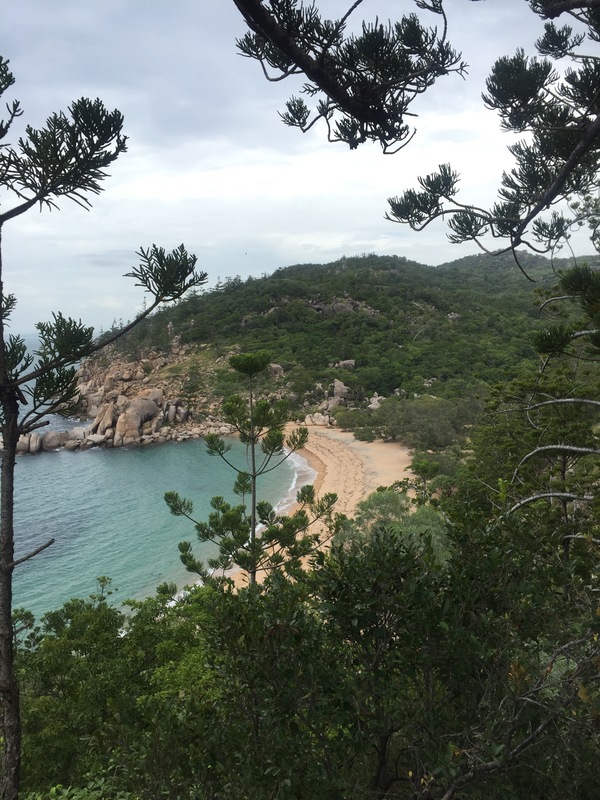 Magnetic Island is just two roads so it dead easy to get around and so it was nice to be driving knowing the way – felt quite homely! We were getting the ferry back to Townsville the next day but had the car until 12 which was helpful to get all of our stuff to the terminal. We had been hoping to get the 12:15 ferry but I got a bit lost trying to return the car so we had lunch in Magnetic and then got a later ferry back to Townsville. After we had already missed the 12:15 ferry, me and Daisy took the opportunity to sit in one of the famous barbie cars that you can get on the island. Thankfully, we had got a car with a roof considering the rain but was good to have a go at sitting in one (FYI they’re really hard to get in and out of it)! It’s a beautiful island and I love how quiet and tropical it is. It was also great to get to drive a bit although it was a huge shame how much it rained. Our next stop was Mission Beach for our skydive!